It’s a bit like embracing the sweetness and freshness of the early days of spring. That’s the feeling created by the combination of shea butter and mint leaf. This little wonder changes the reality of those who are used to applying lip balm several times a day. 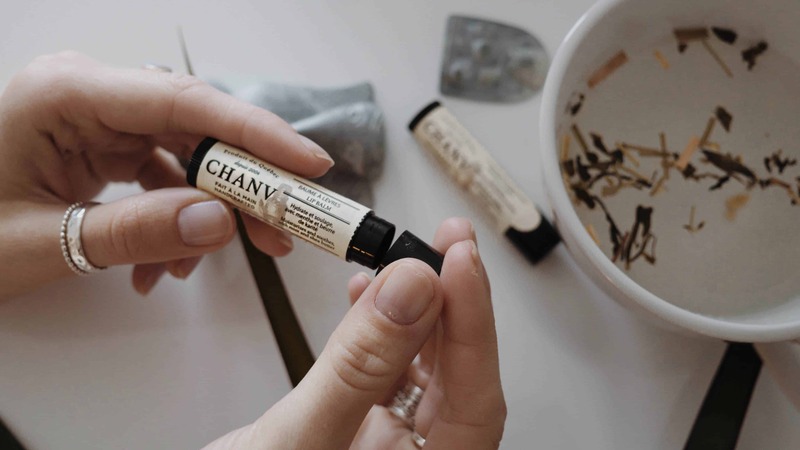 CHANV Lip Balm is like embracing the sweetness and freshness of the first days of spring. That’s the feeling created by the combination of shea butter, hemp oil and mint leaf. Moreover, this little wonder will change the reality of those who are used to applying lip balm several times a day. In a coat pocket, on the bedside table or in the desk drawer, the lip balm follows us everywhere and is used by the whole family. However, did you know that most of those on the market could contain toxic substances? And since the risk of ingestion is very high, it is better to choose a product made from natural ingredients. This is the case of our CHANV Lip Balm, so you can have peace of mind!